The look and feel of your home begins and ends with your choice of doors and the style, condition, and quality of those doors speak volumes about the home within. 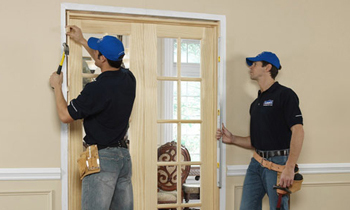 For just that reason, it’s always worthwhile to get in touch with professional, high quality door installation Minneapolis, MN professionals. The skilled and versatile Minneapolis door installation specialists here at Next Level Exteriors are proud to offer just that service for homeowners who are interested in everything from an emergency replacement door installation in Minneapolis, MN to a basic, though vital service like weatherstripping, insulation, and door repairs in Minneapolis, MN. To learn more about the wide variety of Minneapolis door installation services which your friendly and knowledgeable Next Level Exteriors specialists can provide you with take a moment to call our representatives at (612) 400-7007. You’ll be provided with personally tailored information and details of the Minneapolis door installation process as well as a free at-home consultation and estimate completely free of obligation. It’s never been easier to equip your home with a perfect first and last impression. Just call (612) 400-7007 today!